More and more independent artists are to be the future of the Australian music industry, and this Sydney-based music duo is definitely one of them. Louise Millar and Michael Macias, known as Twin Caverns, are set to take the nation by storm with their indie, alternative tunes. With Louise on vocals and Michael on guitar, they bring to life their own unique sound – astral soul. 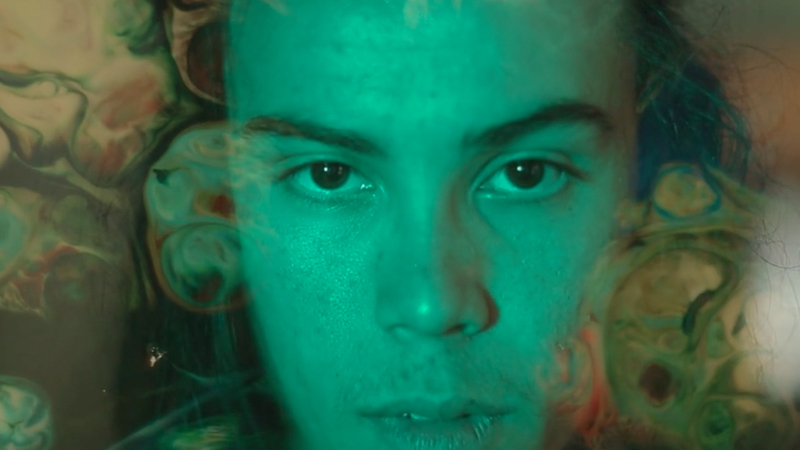 Their first music video – “Drown,” produced by Madeleine Ellis and Lucy Fuggle, showcases beautiful artistic direction as well as the true essence of their music. The “Drown” music video delves into one’s mysterious and treacherous journey leading to an unknown destination. I find this noteworthy, as what happens in the video is just as equally important as the song itself. “Your water come wine I drown..” “They are drowning in their own blood” Together these lyrics and the music video may symbolize the consequences of particular ‘things,’ such as alcoholism and drugs, which we allow to take over our life. The director of “Drown” deserves high praise for originality. Opening with an extreme close up of moisture on skin and then of a human eye is brilliant cinematography that I am in awe of. It also opens with dodger blue lighting, a great artistic choice to set the cool mood and transcendental atmosphere. Artificial lighting here also highlights the smoke and dry ice used; this then creates an alluring, smoky fog that remains in most shots. All of these elements work together to introduce the video’s powerful visual aesthetic. In light of this, the most unique part of the entire video is the use of paint, a different medium manipulated to create a psychedelic effect. This is repeated throughout the music video, producing an overwhelming explosion of colour. The paint works well to represent ‘drowning’ and the symbolic nature of drowning in one’s own blood, drowning in one’s own problems. It’s definitely a risk to use something as unpredictable and messy as paint; however, it truly makes the music video a product of innovative artistic direction. If Twin Caverns continue to produce music accompanied by such creative videos packed full of originality, they will definitely go far in the industry as truly artistic musicians. Produced by Madeleine Ellis and Lucy Fuggle. Director of Photography: Julia Zolkiewska. Camera Operators: Jacob Hogarth and Hamish Sutton. Edited by Jacob Hogarth, Julia Zolkiewska and Hamish Sutton. Set Design by Lucy Fuggle and Lizzy Mcdonald. Special thanks to Michael Thompson and Aidan Peruch.